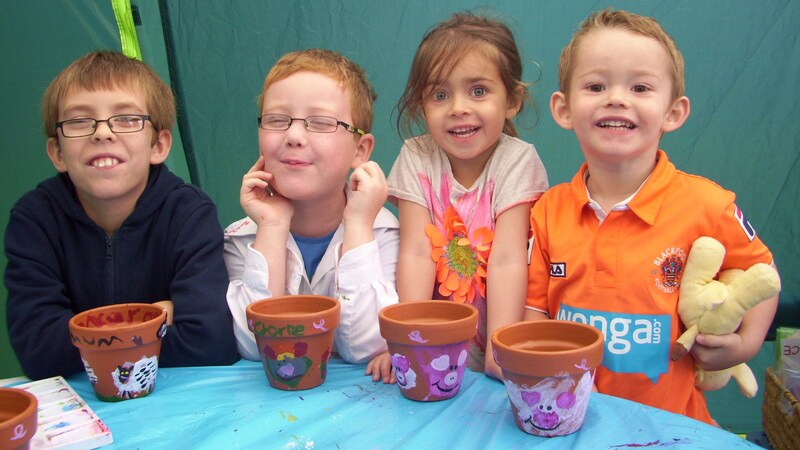 Zippy Zappy presents our Creative Zappy Pot Painting Workshops & Birthday Parties for children to adults. We come to you & bring everything you need for a memorable, fun experience. Every visit guaranteed. Read our reviews here! Our fun creative, mindful & sociable Workshops & Parties are specifically aimed at small to medium sized groups per session. Providing a creative environment to calm,engage & occupy the mind & hands. By arrangement larger groups are catered for. Please just enquire. We constantly 'encourage' hand eye coordination, social skills and an introduction to an experience working with a 3D object. Now even with our ALL NEW TinyTots Mess Pots, aimed specifically at toddlers age 2-3.5yrs. 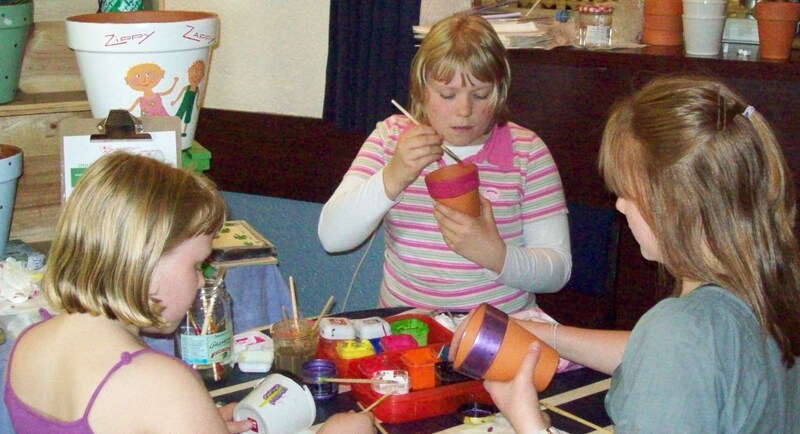 Workshops are suitable for: 1-2-1 at home, Social Groups, W.I Meets, Later Living, Care and Rest Homes, Special Needs Crafts, Girlie Get Togethers at Home, Charity Events, Entertainment for Family Celebrations such as Wedding Receptions, Christenings & Anniversary Parties Scout & Girl Guide Movement &Youth Clubs. Workshops or Parties are held wherever suits; in your own home, a venue or at your regular meeting place. Please note: Travelling further afield for Workshops or Parties within the UK is arranged by appointment direct with Lynn. Please allow at least 2 months prior to the requested date, to guarantee availablity. Workshops: Within reason run when mutually suit. Evenings and Celebrations: By arrangement - please telephone Lynn direct - minimum 4 weeks notice. - Painting shirts for children. We have a few adults aprons, but suggest bringing an old shirt to ensure sleeves are covered. - Seasonal Zappy designs to choose from or pre drawn, appropriate to age/ability. - Experienced, passionate and enthusiastic tutor. - Patience and 1-2-1 guidance in a social and fun environment. - Tables and chairs arranged in advance in a long run, a C or L shape. - Easy access to cold water and a sink. - 45 minutes to 1 hour set up time. 35 minutes set down time. - A minimum of 1.5 hours between Workshops when multiples booked. - A minimum of 3 weeks notice on all bookings locally and up to 3 months further afield throughout the UK. HobbyCraft Altrincham store: You can organize your own Workshop in store. 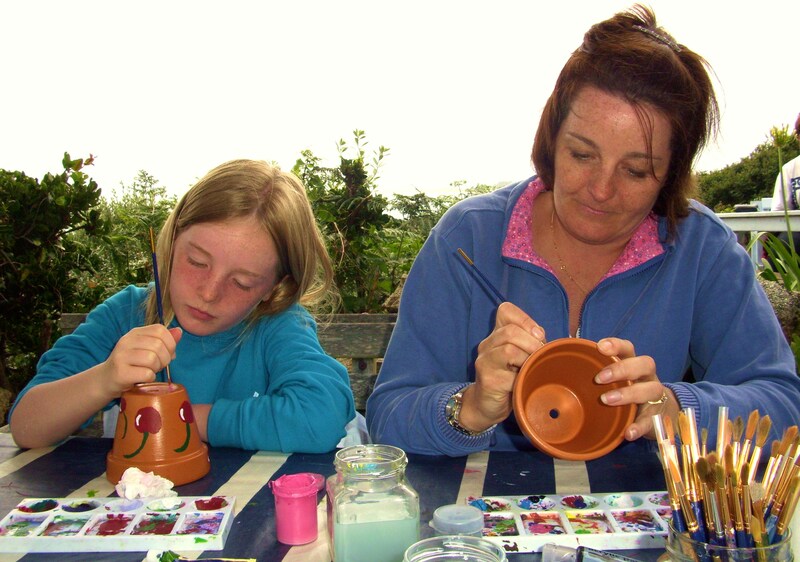 A lovely inspiring space in which you can gather friends together to create your own Zappy Pot. Contact Lynn direct to arrange - minimum 3 weeks notice. 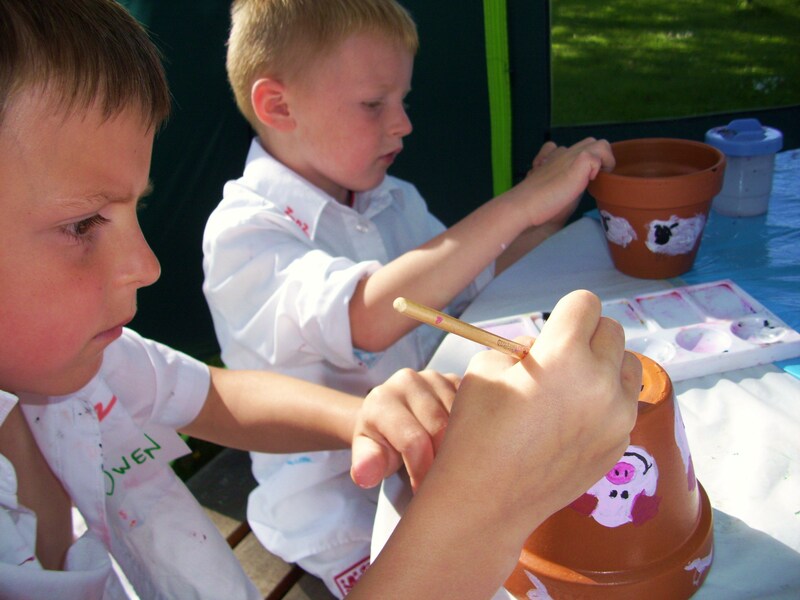 Please check out our Pot Painting Parties web site for details of our party Packages/booking/reviews or simply call Lynn direct for availablity. I look forward to hearing from individuals, groups, schools & Event organizers. We are a mobile service so we conveniently come to you. I can help suggest venues for your Workshop or Party to be held. Please contact Lynn direct on 07934 119 251. Please note.....Sunday Workshop and Parties have a small extra supplement of £10 per Event. It is preferable when booking to book in advance of 3 weeks. 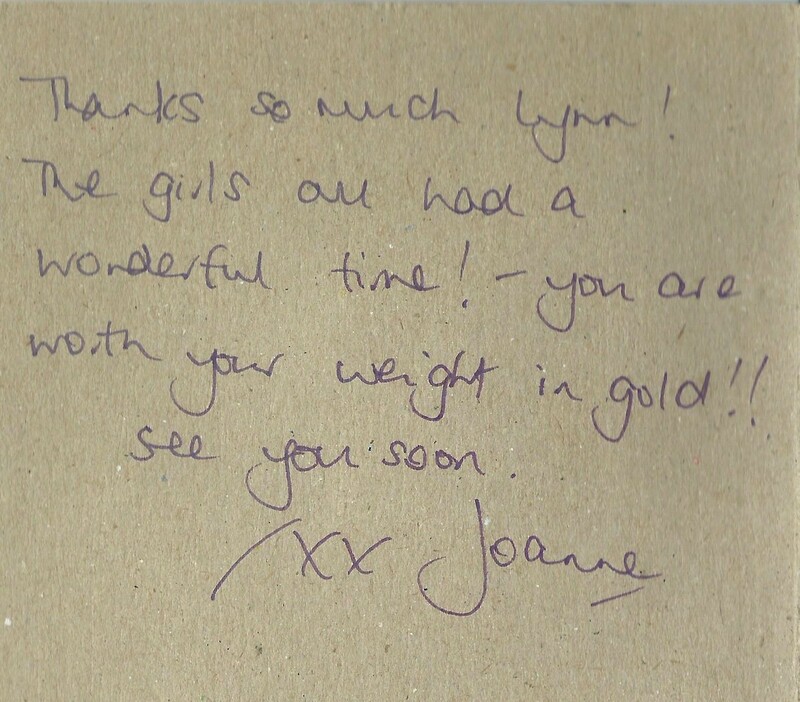 Please contact Lynn to check availability direct by telephone if requiring a booking at short notice. Happy to help whenever possible & from much experience advise. We do not have a static premises. 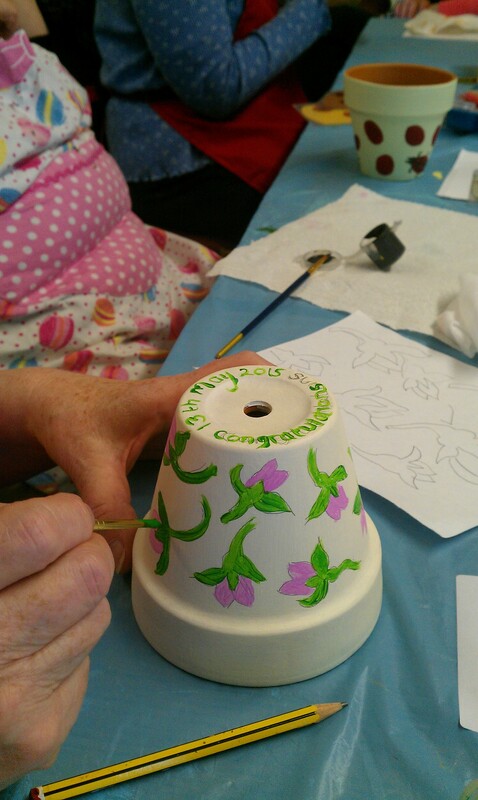 We are mobile and we run our pot painting workshops in a location of the customer's choice, throughout Manchester, the Peak District & Derbyshire & further around the UK. Venues can be suggested if needed. Our Workshops are aimed at small groups enabling plenty of attention and guidance, no matter ability or background. Adults and children with additional requirements usually benefit from their carer, support worker or parent being on hand. Attending also Town Centre promotions, Festivals, Charity & Community Events. Appropriate & all current documents held: DBS Ofsted recognized Paediatric Certificate, Safe Guarding Public Liability Insurance, references and testimonials/reviews.